News from Music House Productions audio recording and production. We have returned from three days recording with The Band of the Royal Regiment of Scotland at the impressive Freemason’s Hall in Edinburgh. The purpose of the recording project, supported by Poppy Scotland, is to produce a CD to raise funds for veterans’ charities and the money raised from sales will go to Poppyscotland and Legion Scotland for distribution to the various charities that care for veterans. 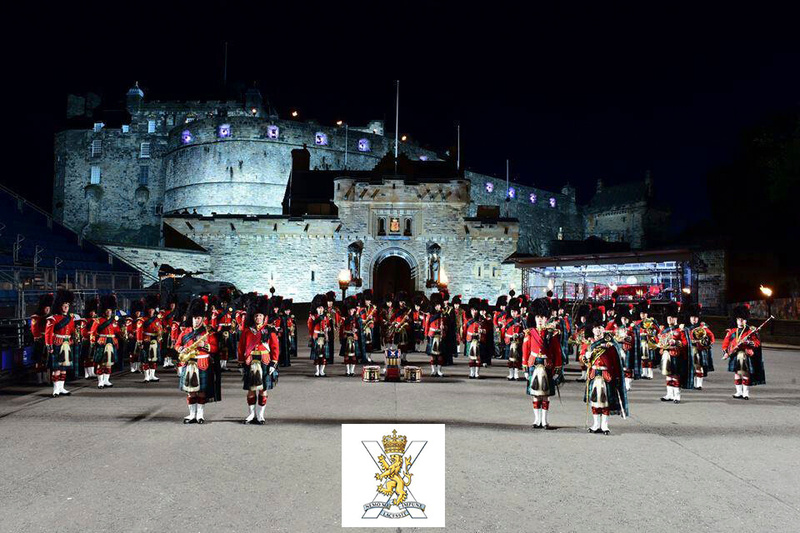 The CD, entitled ‘Walking with Heroes‘ marks the centenary of the end of the 1st World War and will be ready by mid April to coincide with a tour of venues across Scotland by the Band in support of the charities that care for veterans. The fine eclectic mix of the music recorded includes traditional military music in addition to singers, pipers and a musical item with narration by perhaps one of Scotland’s best known personalities. The informative Facebook site of the The Band of the Royal Regiment of Scotland chronicles some memorable insights into the intensive three days recording, the work so far and the prospects of what is to come! We have recently completed a recording project with the ‘BMP Europe Goodshaw Band’ who are based in the village of Crawshawbooth in the Rossendale valley. The project forms part of the 150th year celebrations of the Band and the title track, ‘Spirit of Industry’ was written by Darrol Barry and dedicated to Mr Ted Andrew the long standing supporter and sponsor of the Band. The recording took place over three days in September at St Paul’s C of E Primary School in Nelson and the finished product will be available at the Celebratory Concert featuring the Band and the Rossendale Male Voice Choir on Saturday the 21st October at St Mary’s Church, Rawtenstall. 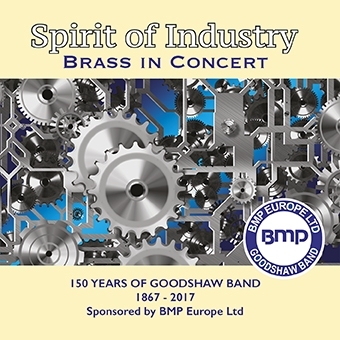 You can learn more about the BMP Europe Goodshaw Band by visiting their website. 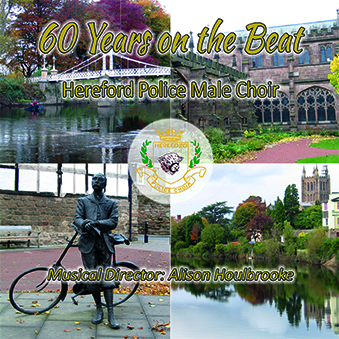 We have completed the work with the Hereford Police Male Choir which was recorded in early February. The choir celebrates its Diamond Jubilee this year and highlights of the celebratory events include a tour of Germany in May to sing alongside the Magdebourg Police Choir and their Diamond Jubilee Concert in Hereford Cathedral in October. To learn more about the choir and their forthcoming concert schedule please visit their website. The CD which contains a selection of the choit’s favourite repertoire will be available from early May. We returned to Hereford over the weekend to record our third album with the Hereford Police Male Choir in the impressive Hereford Shire Hall. 2017 marks the Choir’s Diamond Jubilee, a celebration of sixty years of wonderful music shared with appreciative audiences here in the UK and overseas. Their current schedule includes a number of celebratory concerts in addition to a tour to Magdeburg in Germany. The CD will be released in April and you can learn more about the choir by visiting their website. 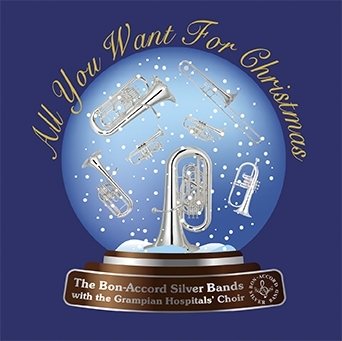 “All You Want For Christmas” is the latest CD by the Aberdeen based Bon-Accord Silver Band. The seventeen track programme contains substantial input from the senior band and contributions from the Bon-Accord Silver ‘B’ Band in addition to three joint items with the Grampian Hospitals’ Choir. 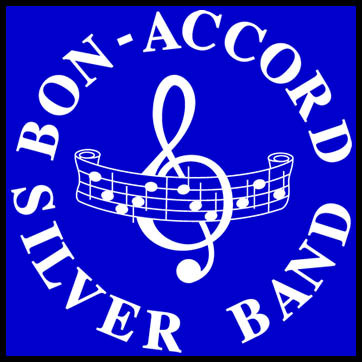 The Bon-Accord Silver Band is the north of Scotland’s leading championship section band who undertake an extensive diary of concert and contesting performances throughout the year. More about the band can be found here. The Grampian Hospitals’ Choir is based at Aberdeen Royal Infirmary and raises money at its annual Christmas concerts in aid of CLIC Sargent, the UK’s leading cancer charity for children and young people. You can learn more about them on their website. Both organisations can also be found on facebook. The CD will be available to purchase at the end of the month. We have spent the weekend in Aberdeen with the north of Scotland’s leading brass band, Bon-Accord Silver Band. We were based at the New Central Building at the Hillhead campus which forms part of the University of Aberdeen, in a most impressive part of the country. The Christmas programme of music features an eclectic mix of seasonal fayre with contributions from the organisation’s two brass bands together a local choir. You can learn more about the band and their latest recording by visiting their website. Brass band enthusiasts all over the world are aware of the name Handel Parker and, perhaps, his most famous hymn tune ‘Deep Harmony’. He was born in 1854 in Oxenhope and at the age of fourteen became the organist at Oxenhope Parish Church. Although he was originally a flautist he became an accomplished professional musician and added the violin and trombone to his repertoire of instruments. He assisted many brass bands in the West Yorkshire area and was for over fifty years the conductor at Howarth Band. 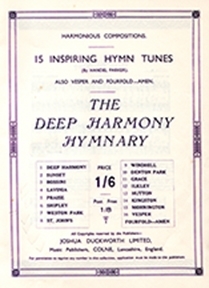 Following his death in 1928 his family gave Joshua Duckworth, a local printer in Colne, a number of his manuscripts from which was published ‘The Deep Harmony Hymnary‘, a collection of some sixteen of his hymn tunes. ‘Deep Harmony’ was played regularly by the Black Dyke Mills Band and many more of the hymn tunes were recorded by a number of brass bands in the 1930s. Having acquired a rare copy of the original hymnary we have recorded all of them recently with Geoffrey Proffitt as part of the celebration of the installation of the new organ at the beautiful Shore St Barnabas Church in Littleborough. 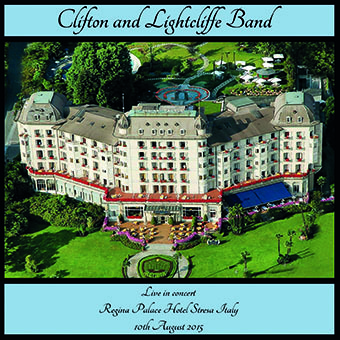 The Clifton and Lightcliffe Band have, over the past twelve years, undertaken ‘band tours’ throughout Europe and in the United States of America. During August of this year the band took a party in excess of fifty to Stresa on the shores of Lake Maggiore in northern Italy close to the Swiss border where they undertook a number of concert engagements. The final concert of the tour took place at the Hotel Regina Palace in Stresa where they played to a capacity audience in the hotel’s 400 seat theatre. We have just completed the work mastering and producing a CD of the concert recording which contains some fine concert performance items and solos. You can learn more about the band and where to obtain a copy of this latest CD at the Clifton and Lightcliffe Band website. We have spent the weekend with the members of the Middleton Band recording their latest CD. 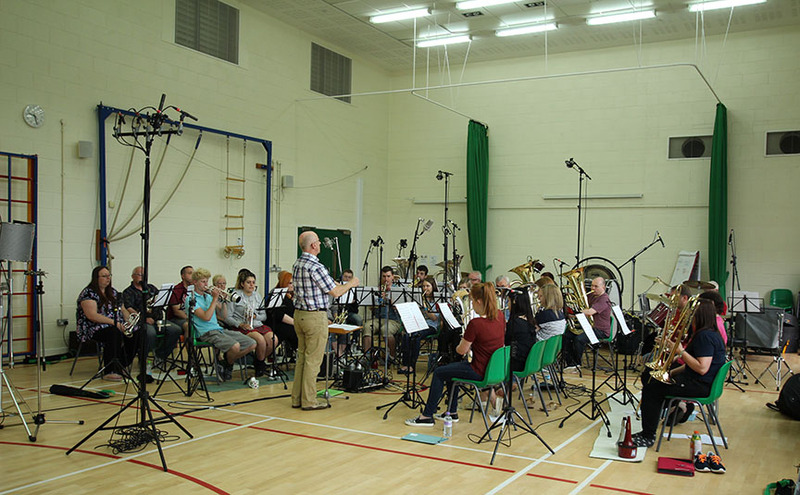 Featured in the recording is a substantial new work, “Perseverance”, by Andrew Baker, a good friend and former player with the band which recounts their musical history in celebration of the organisation’s forthcoming 140th anniversary. As a part of the forthcoming celebrations there is also a fine contribution from their thirty strong enthusiastic Youth Band. The CD will be issued later in the year and you can learn more about them by visiting the Middleton Band website. We have had a number of enquiries to our website in the last few days about the march “General Mitchell’. The march was used in the annual Whit Friday March Contest in the Saddleworth and Tameside areas by the Band of the King’s Division to display their talented playing and marching skills. A number of social media sites have shown excerpts of the band’s performances and these have prompted great interest about the origins of the march and its availability. It was written by Robert Browne Hall, (1858-1907), better known as R.B.Hall who was a leading American composer of marching music in addition to his capabilities as a fine cornet player, conductor and teacher who seldom left his native state of Maine during his lifetime. He is perhaps better known in this country for his marches, “Death or Glory”, “Officer of the Day” and “New Colonial”. We were fortunate to spend three days as guests of the Band last month celebrating the first anniversary of their re-role to a brass band and we were privileged to work with them to discuss microphone and recording techniques as well as capture some recent repertoire for their training and archives. With their permission we have uploaded below their performance of the march which we recorded at that time and hope you will enjoy it. Copies of the march parts for brass band (priced at £19.99) are available from Safe Music or by e-mailing gkingston@safemusic.demon.co.uk. To learn more about the Band of the King’s Division please visit their website. Copyright © Music House Productions 2019.